1175Y is one of 7 outstanding full sisters out of the great 5139R donor cow and the 7034T herd sire and a full sister to our 0041X donor cow. 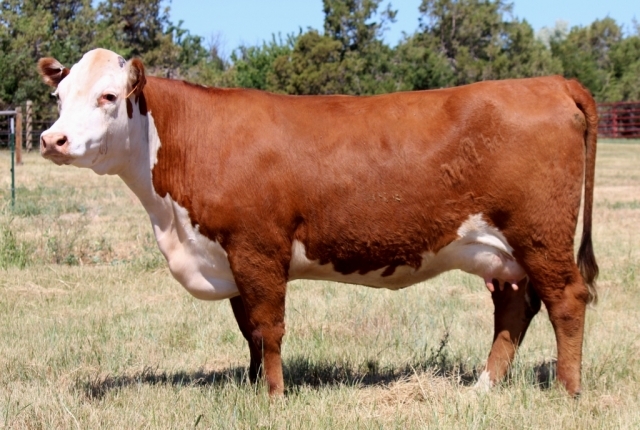 Another full sister was a donor for us and the leadoff female in our 2015 Female Sale and sold to Circle G Cattle. Powerhouse female with a perfect udder, loads of volume, style, and pigment. 1175Y typifies what we all want a role model brood cow to look like and she also produces progeny with the same type. *Now owned By Harrison Cattle Co.